Peninsula Players Theatre began in 1935 in Fish Creek behind the Bonnie Brook Cottage/Motel which is now Fish Creek Park. In 1937, the theatre moved to its current location along the waterfront, surrounded by beautiful gardens. The theatre is know for its open sides so you can enjoy nature while at the plays. Each year brings new actors as well as new shows to be enjoyed. 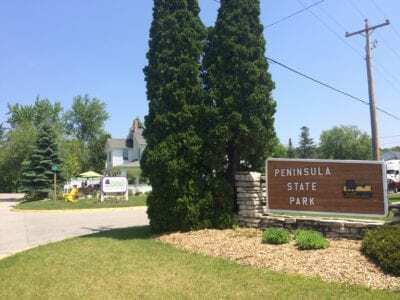 For over 80 years, Peninsula Players has been captivating audiences and delighting visitors to Door County. The theatre is located south of Fish Creek on Peninsula Players Road, about 4 miles from Julie’s Park Café & Motel. Cave Point is a very popular Door County spot even though its not right on the main drag. 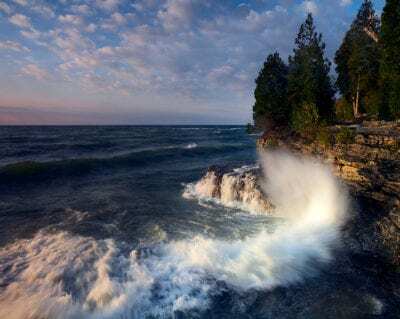 Located on the highway 57 side of the Door County peninsula, Cave Point is a popular county park with a gorgeous view. This is one of those places that descriptions just don’t do it justice. Through time the crashing waves have formed caves in the limestone bluffs. The 19 acre park has picnic and grilling areas as well as public bathrooms and a half mile hiking trail. 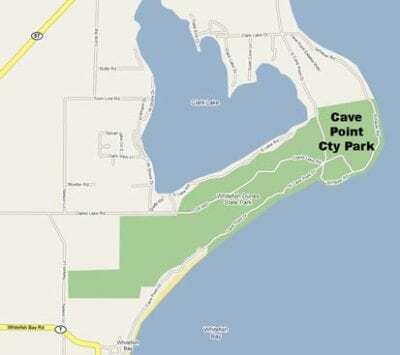 Cave Point is about a 25 minute, 16 mile, drive from Julie’s Park Café & Motel. 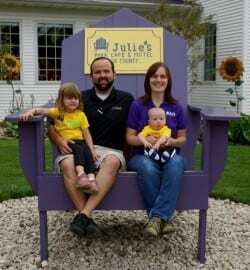 It is located on the Lake Michigan side of the Peninsula off of Highway 57, just north of Sturgeon Bay. Peninsula State Park has so much to offer visitors that its hard to know where to start. From biking the trails to camping with family, the park is a great place to be. You can take a drive through and enjoy the scenery. You can watch a play in Northern Sky Theater. 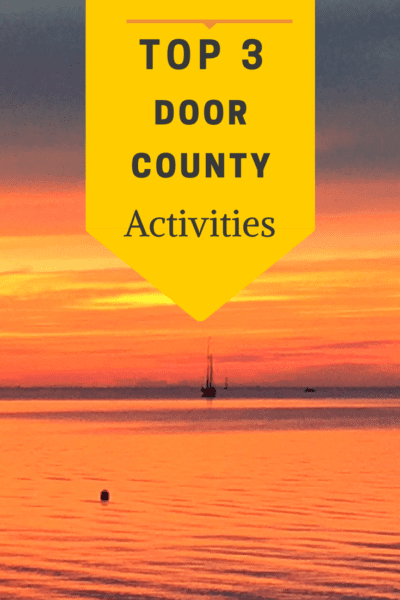 Activities can be done year round in this beautiful place. Cross country trails and snowmobile trails wind through the park in winter. Hike and bike in the spring. Swim at Nicolet beach in the summer. Ride through and see the beautiful fall colors. With all the great opportunities, you can define your own adventure. What do you think? Do you agree with these top 3? Have you been to all of these?